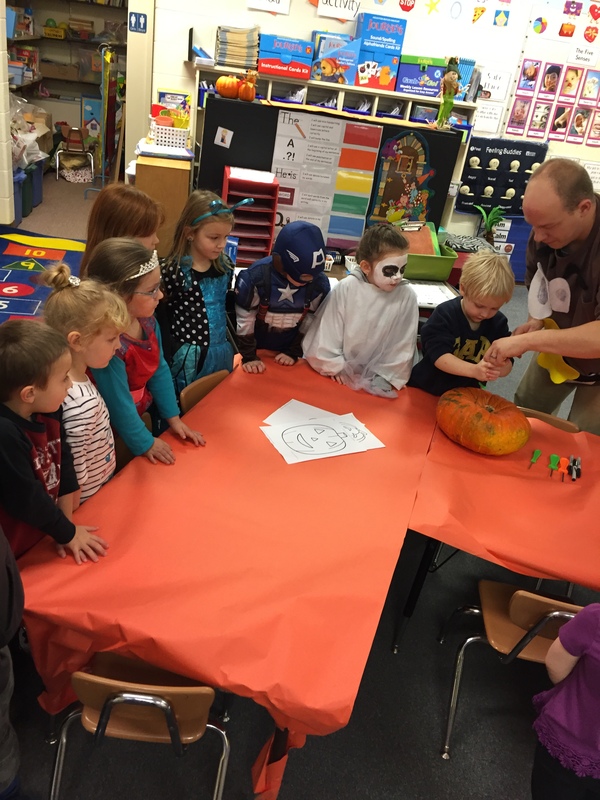 Yesterday completed another Halloween season with Kindergarten All-Stars. 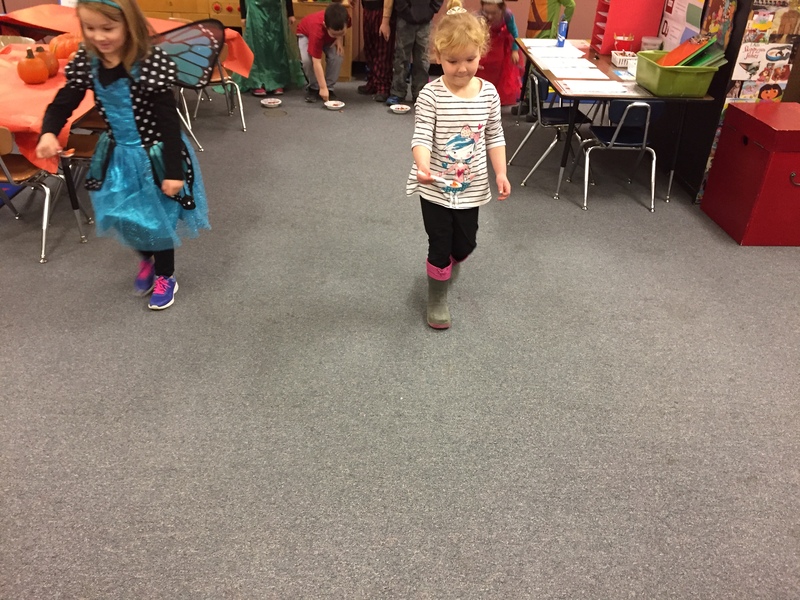 We had a busy day starting with the morning class rotations. 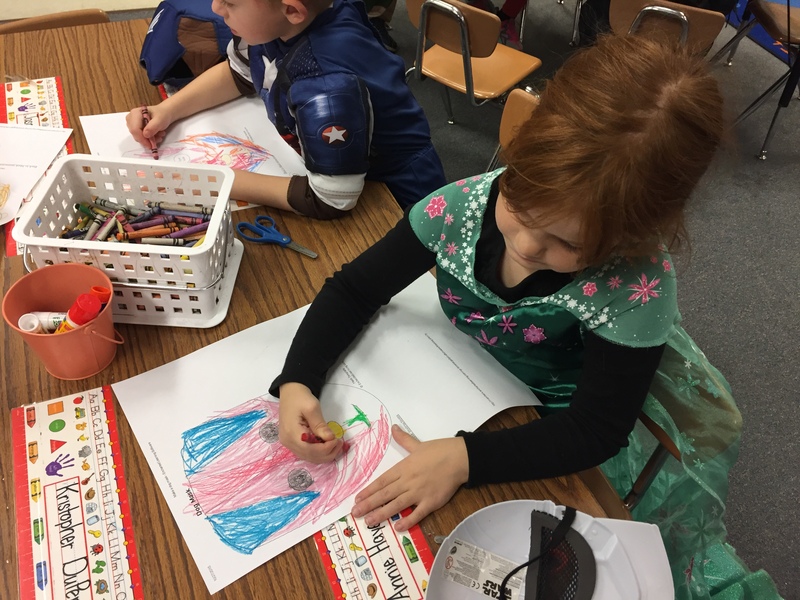 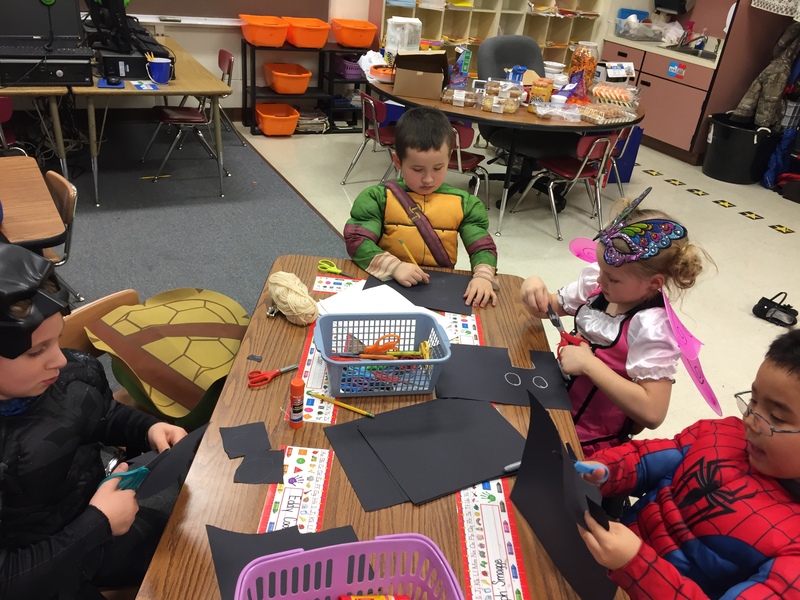 Each class rotated through each teacher to participate in games, activities, and crafts. 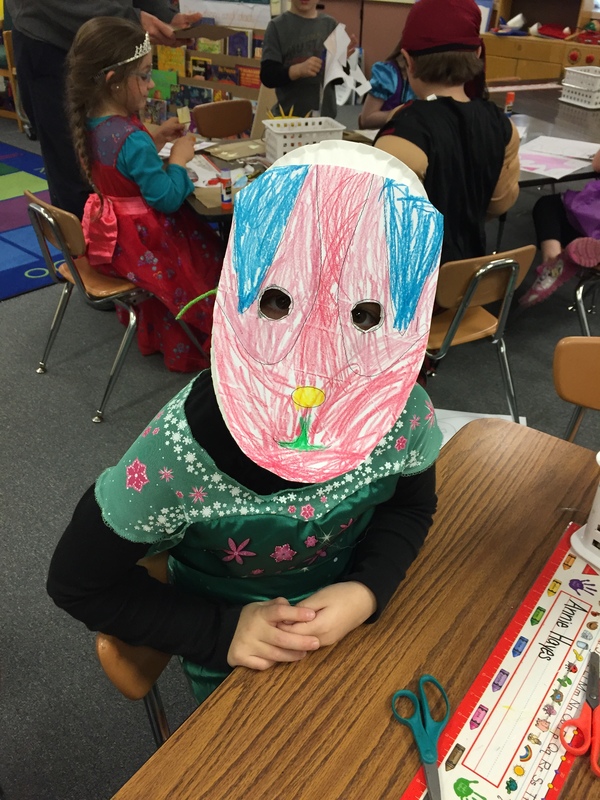 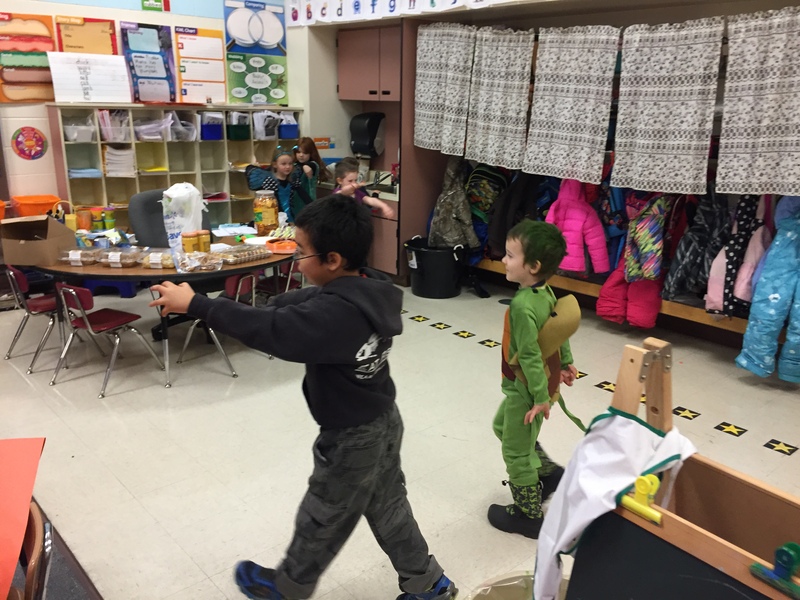 In my classroom we played Halloween games. 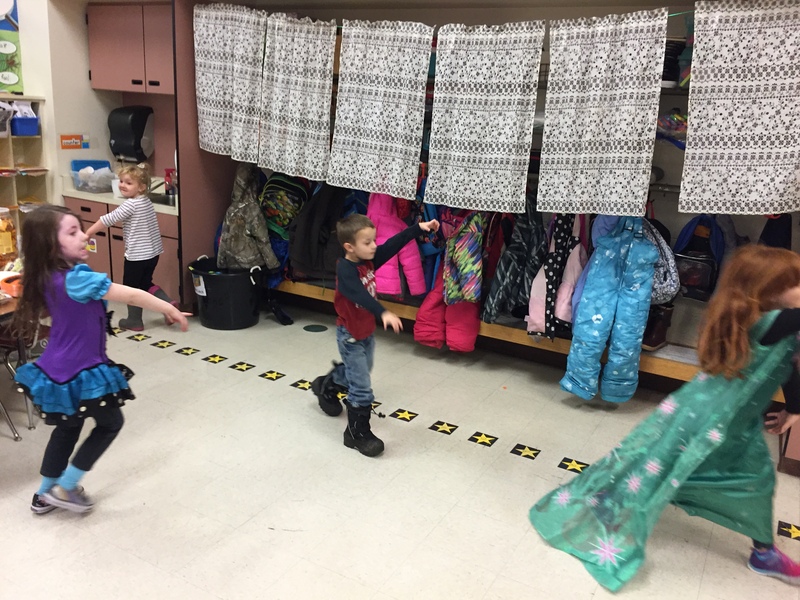 We played one game called zombie 4 corners. 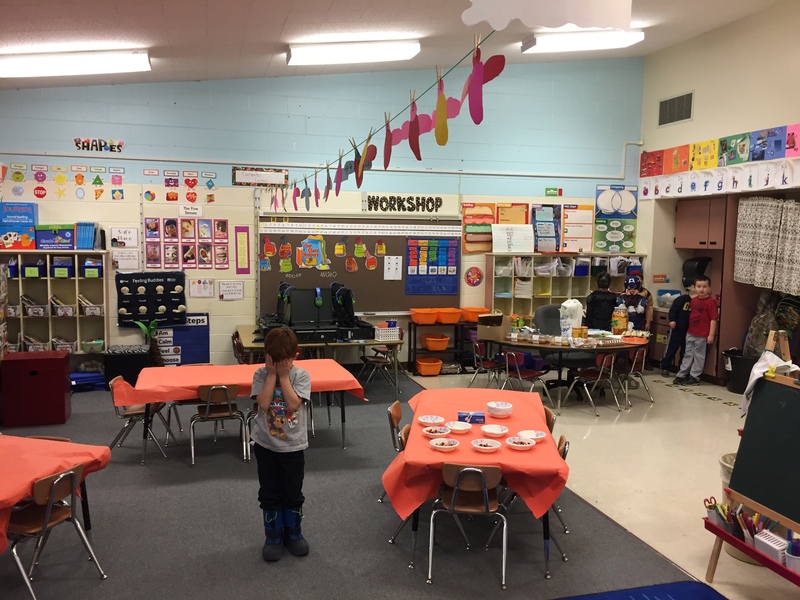 In zombie 4 corners one student covers his/her eyes while other students walk around the room like zombies until Halloween music stops. 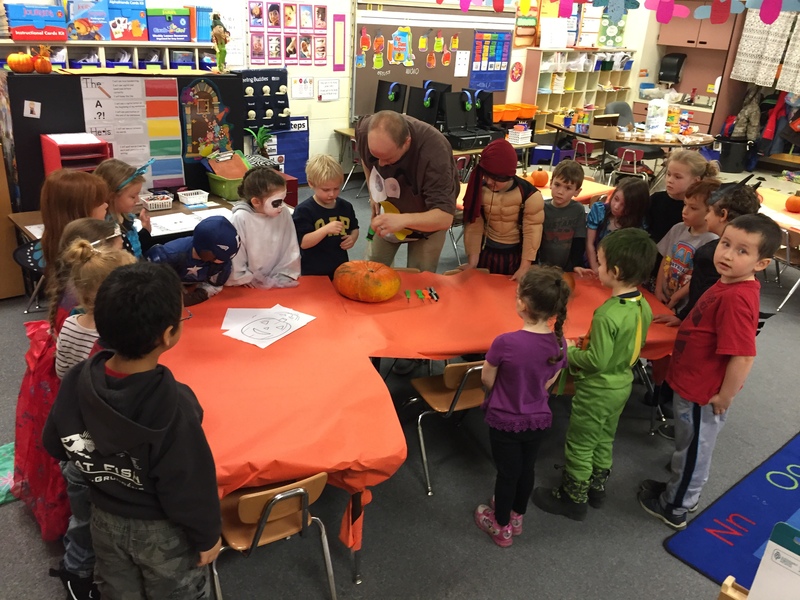 Once the Halloween music stops the class runs to a corner in the room and those students that hid in that corner have to sit down. 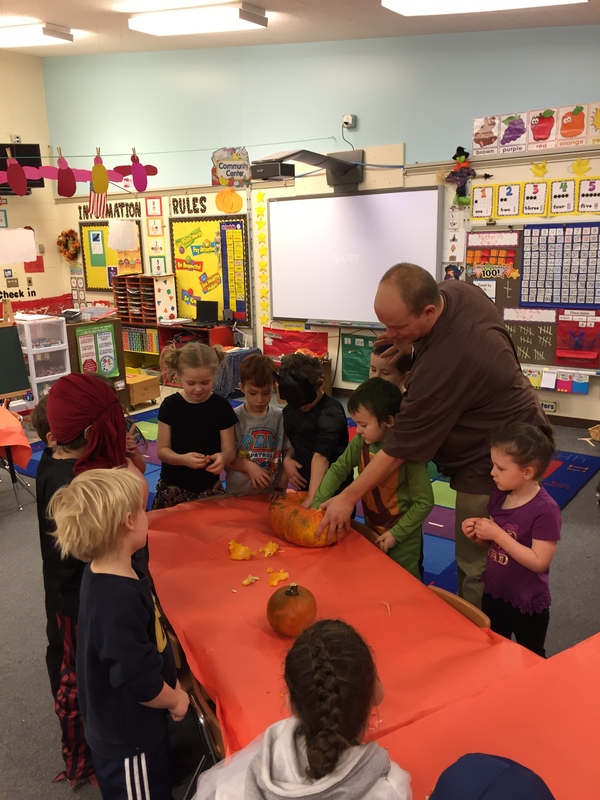 This continues until there is only one student is left. 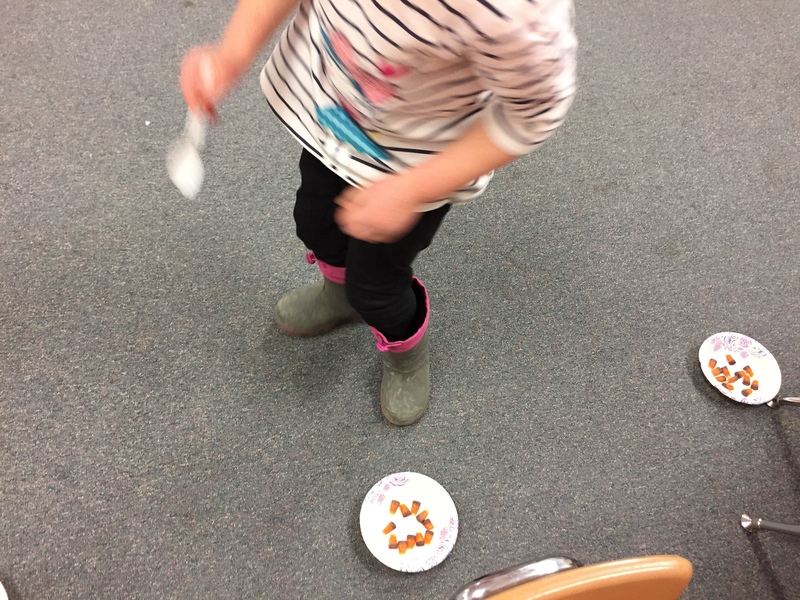 Our second game was a candy corn relay race. 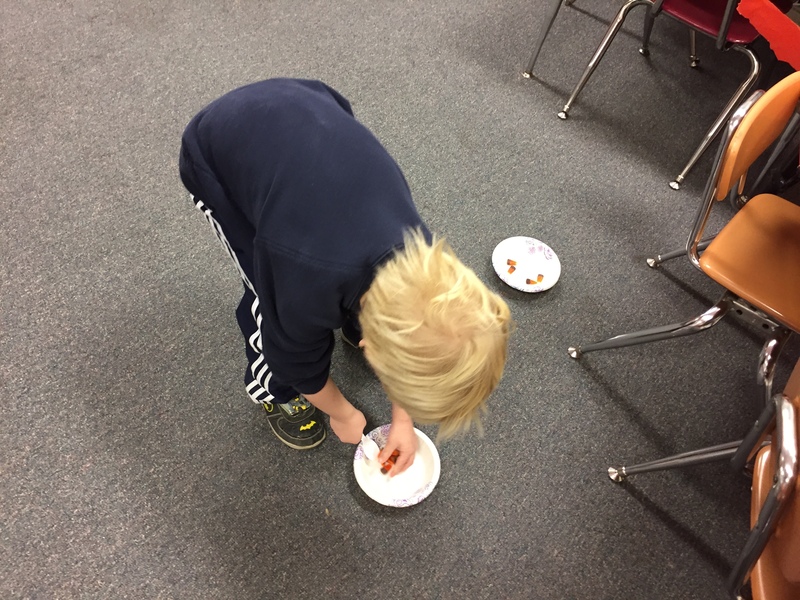 Students carried as much candy corn as they could in a spoon and placed it into a bowl. 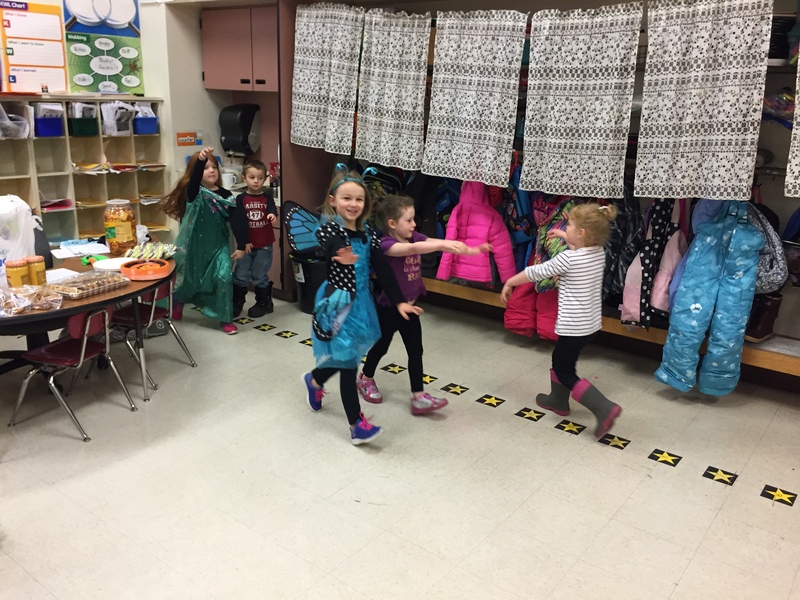 They took turns doing this until time ran out. 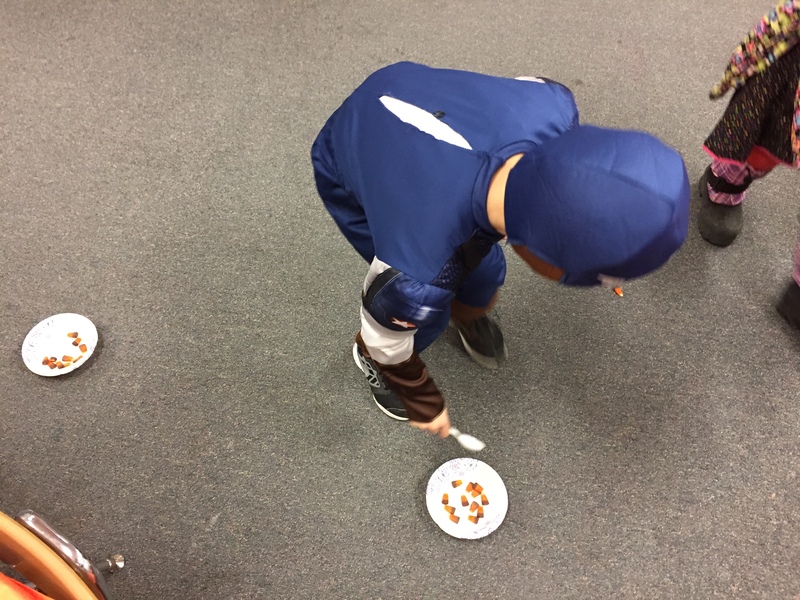 The team with the most candy corn in their bowl won. 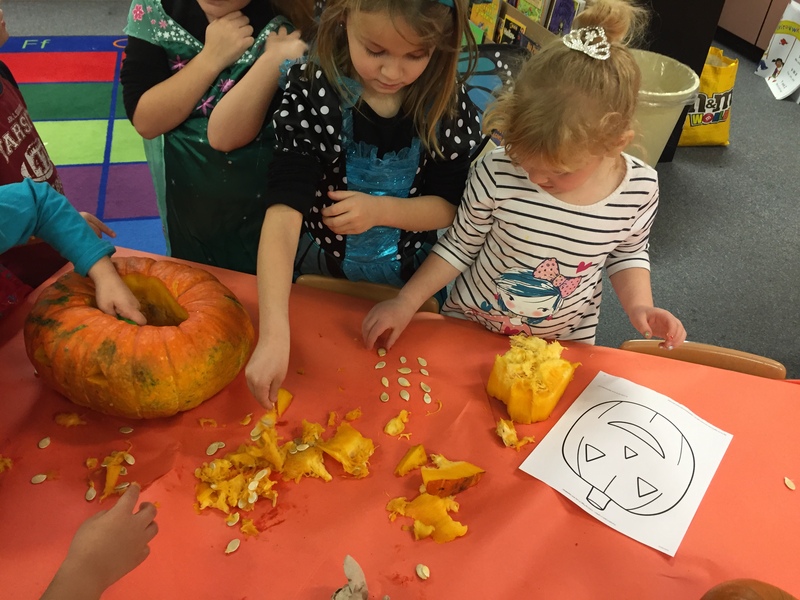 Then in the afternoon we carved pumpkins, counted the seeds, and felt the insides. 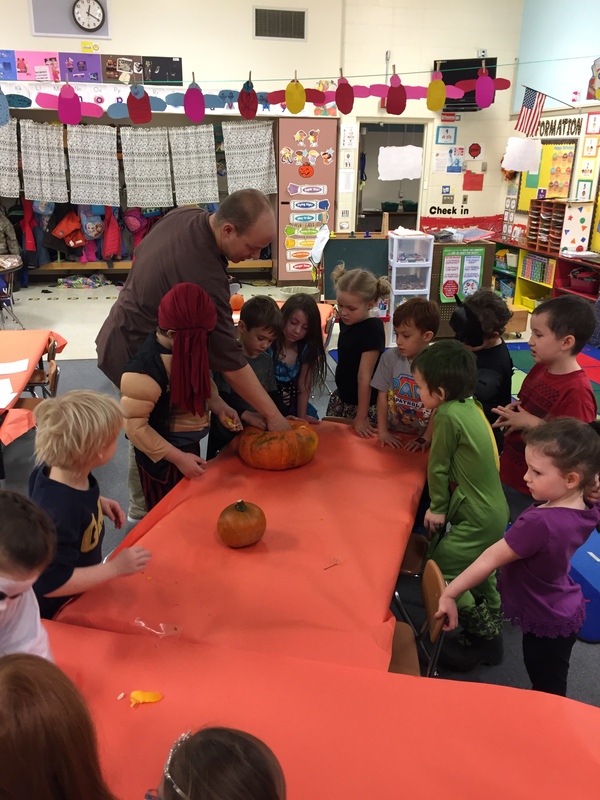 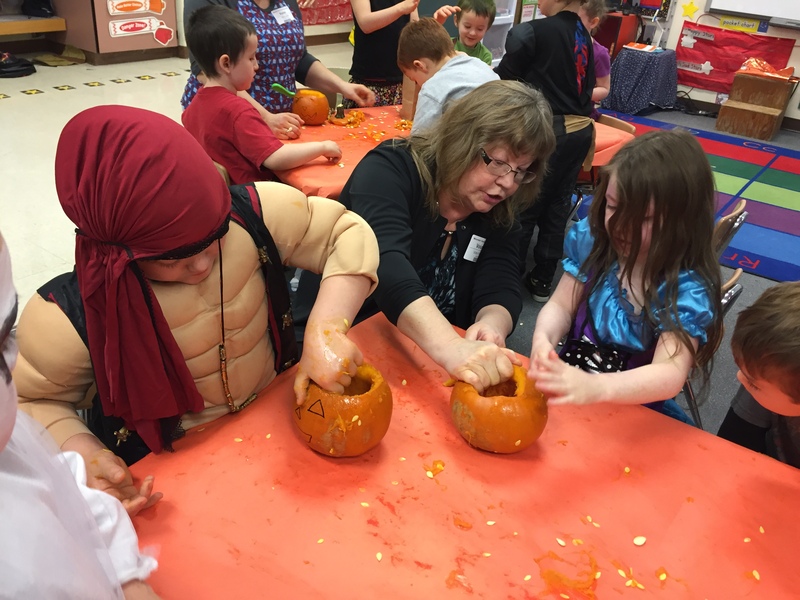 Students got to use their sense of touch to describe what the inside of the pumpkin felt like. 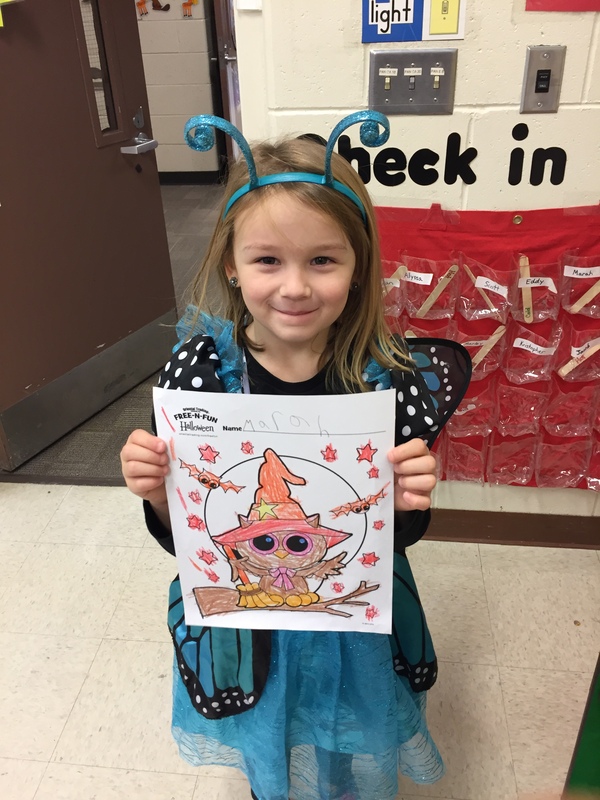 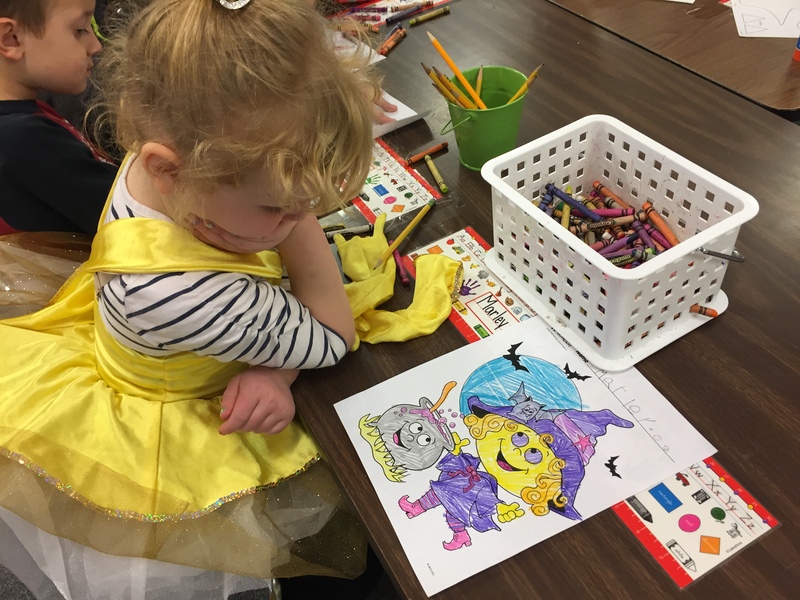 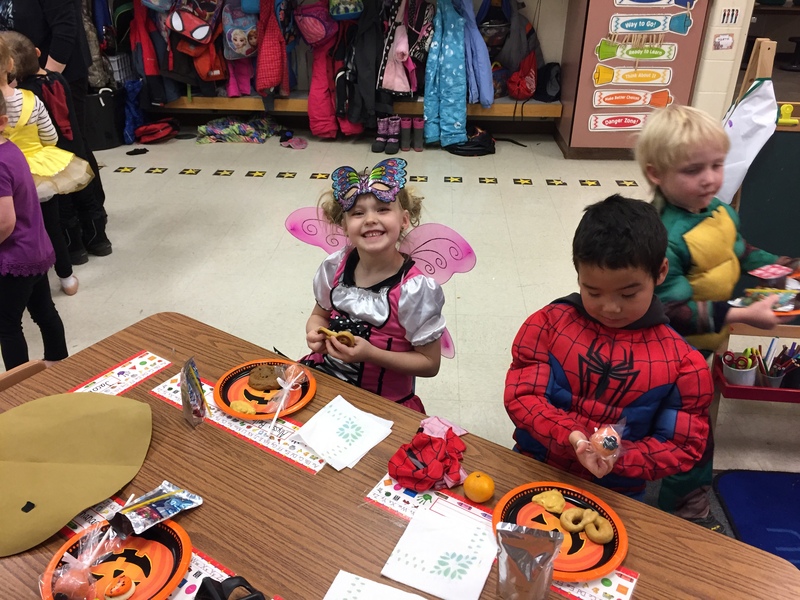 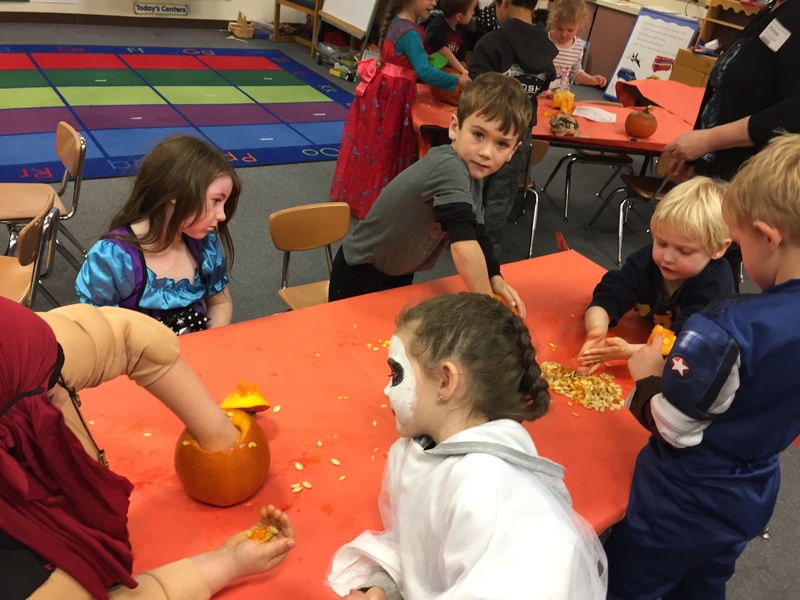 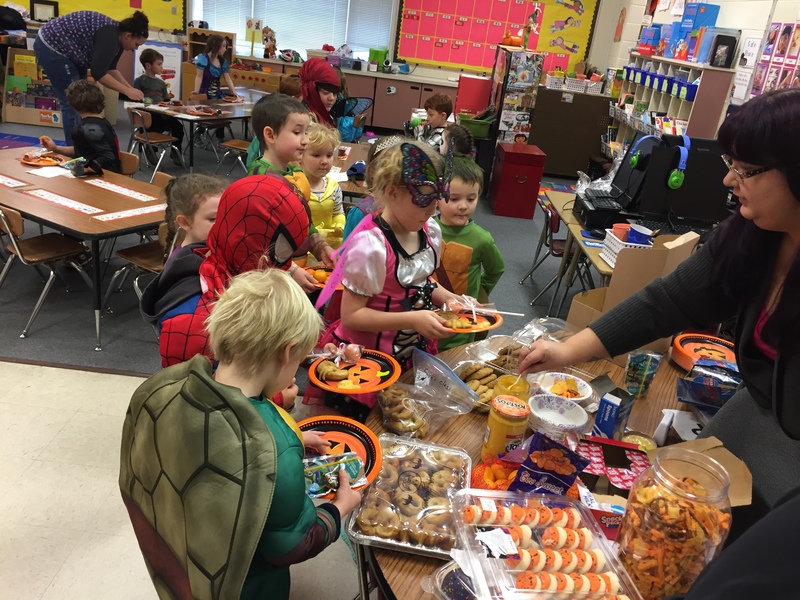 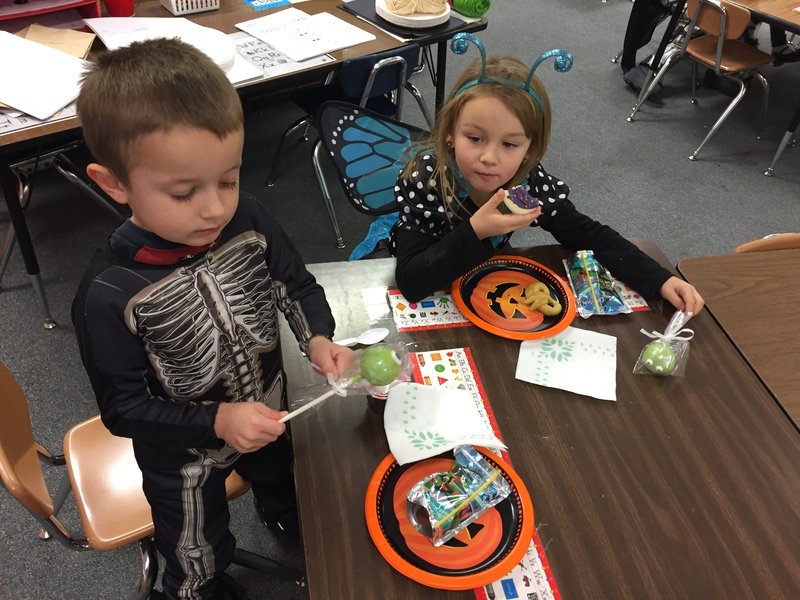 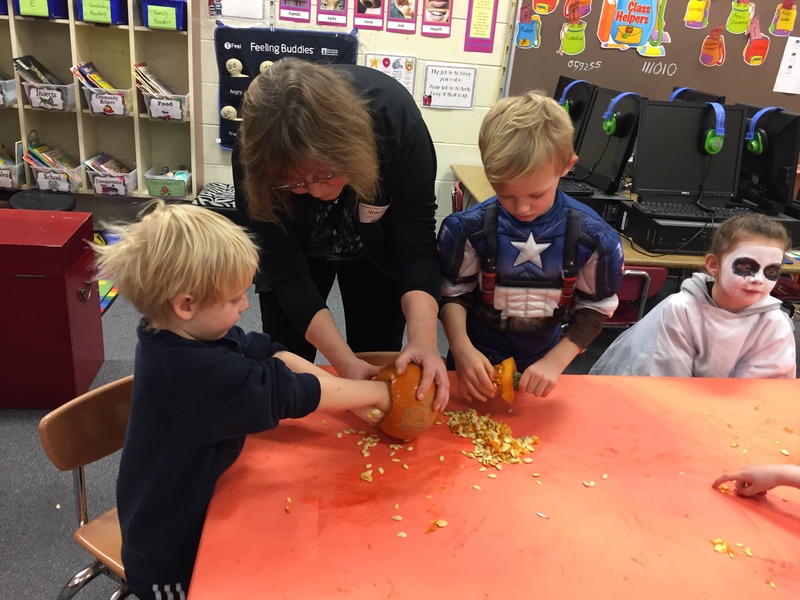 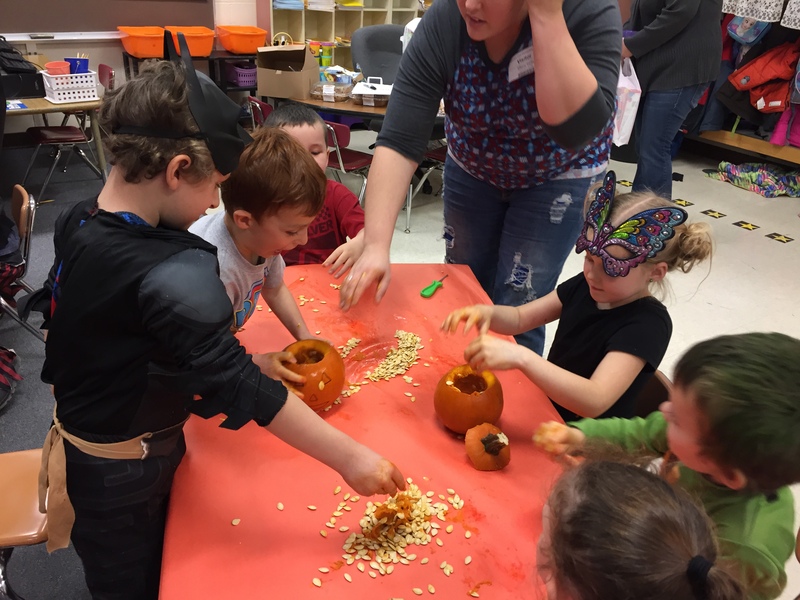 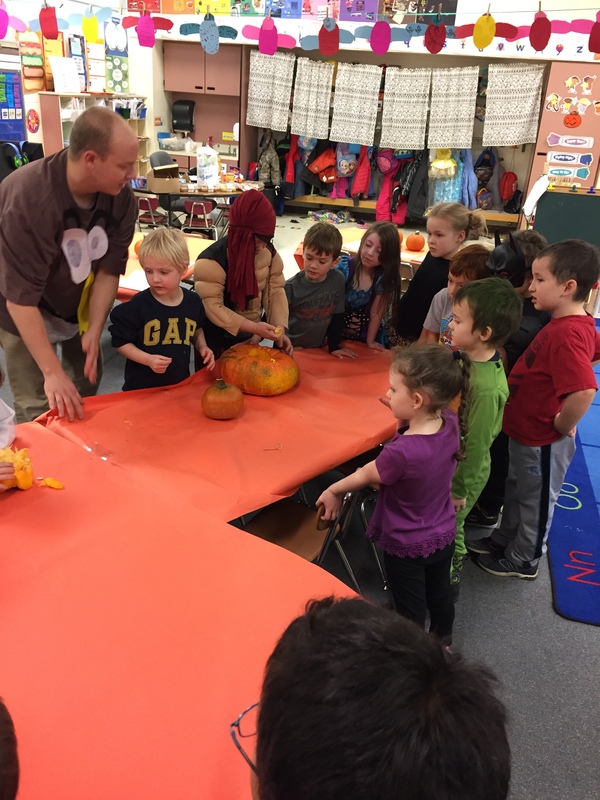 After our pumpkin carving we enjoyed treats & snacks and participated in Halloween crafts. 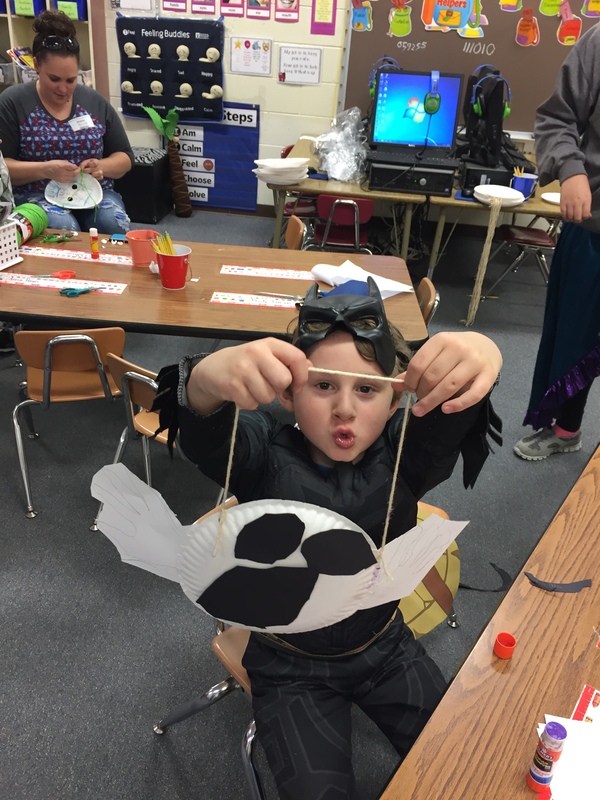 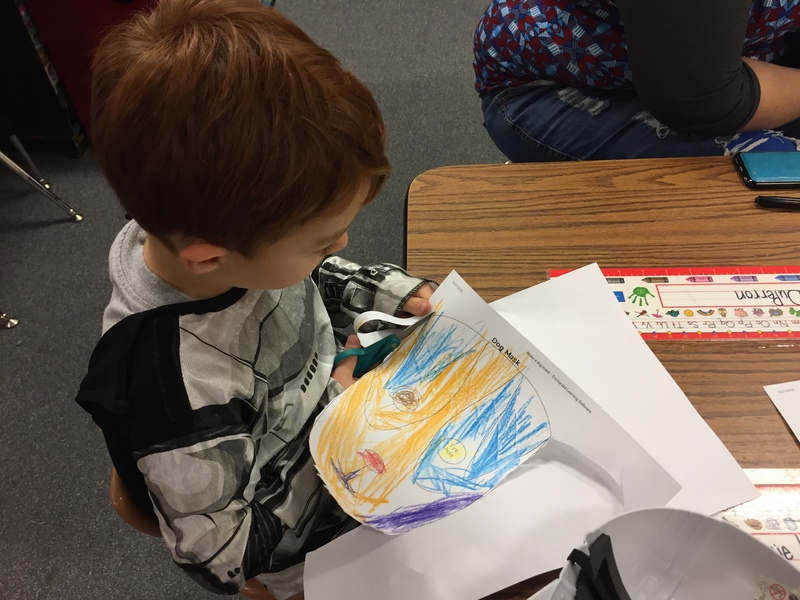 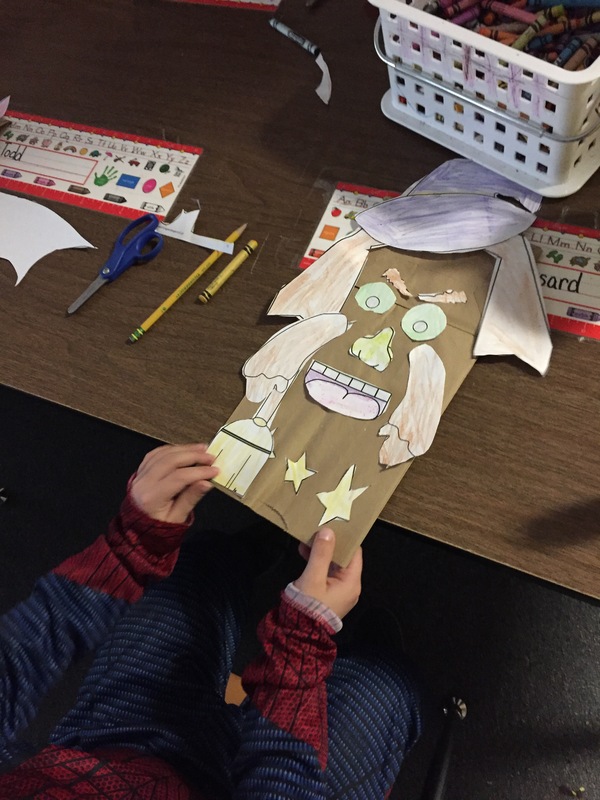 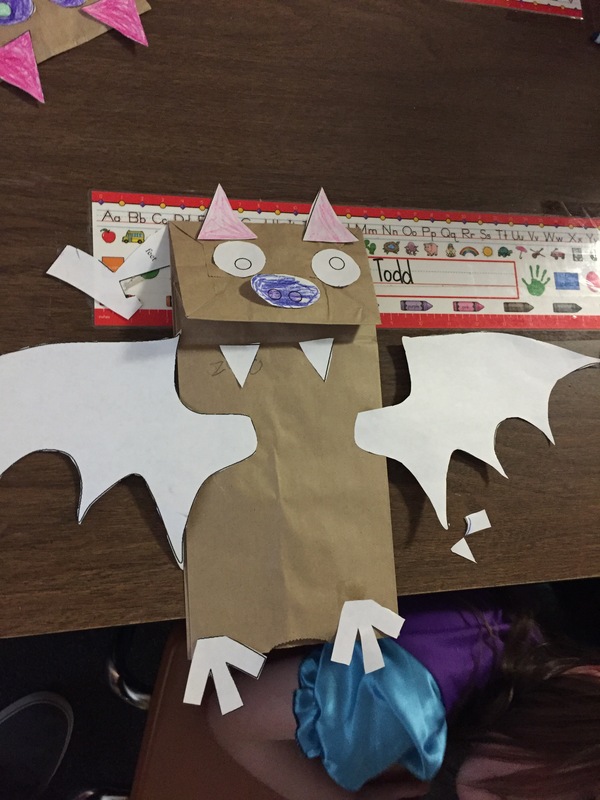 The crafts included coloring pages, hanging ghosts, paper bag puppets, and paper plate masks. 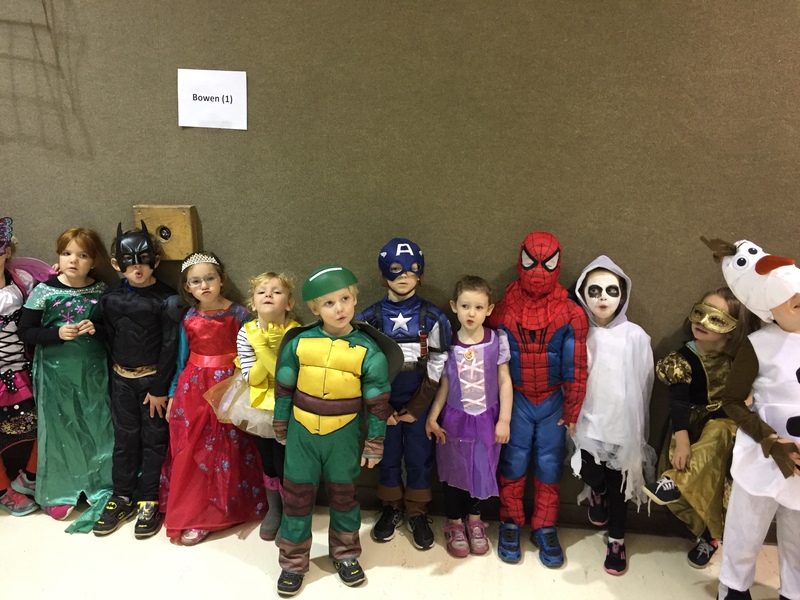 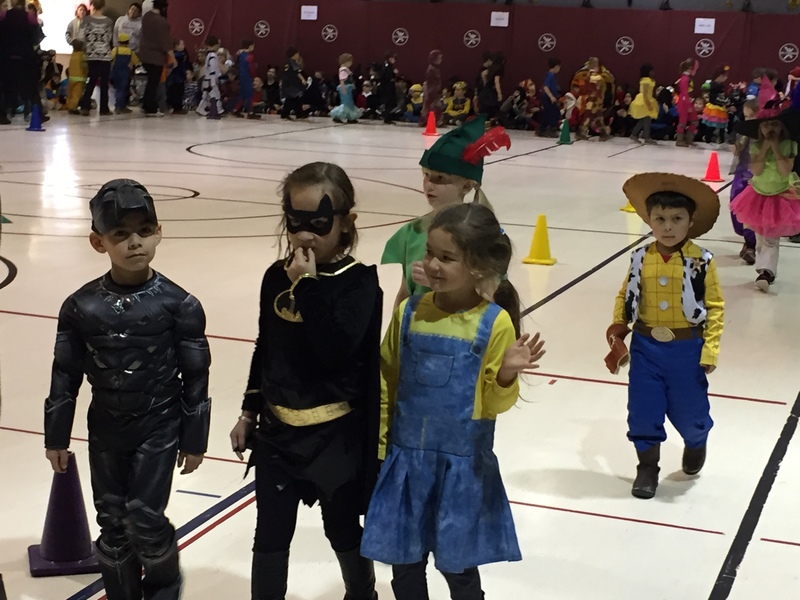 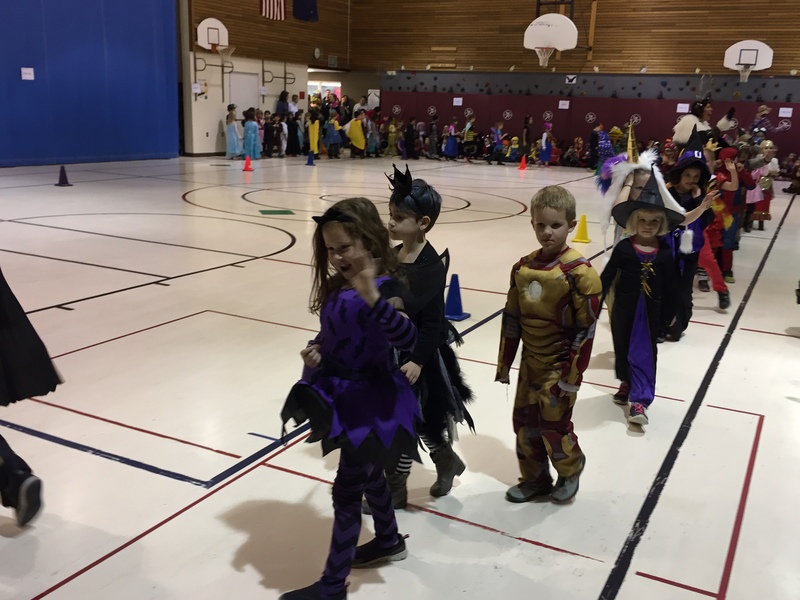 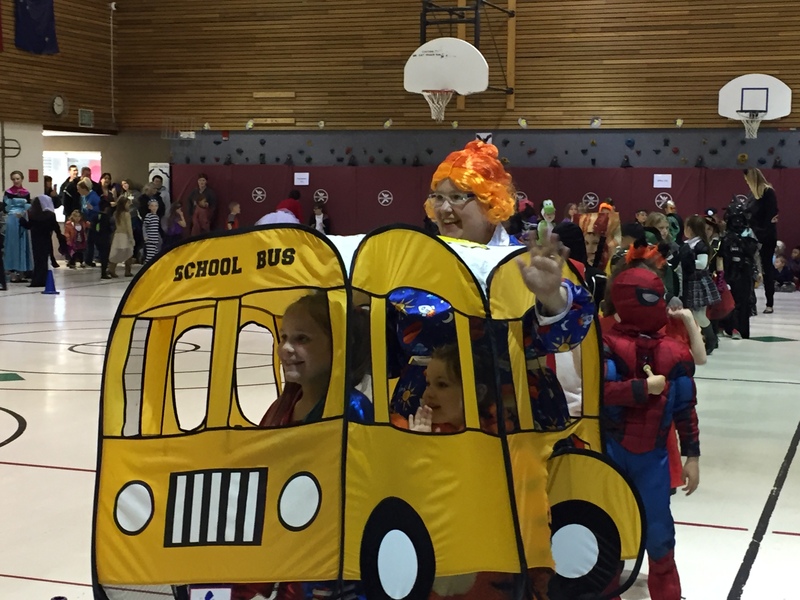 Finally at the end of the day our whole school grades PreK-2 participated in a Halloween costume parade! 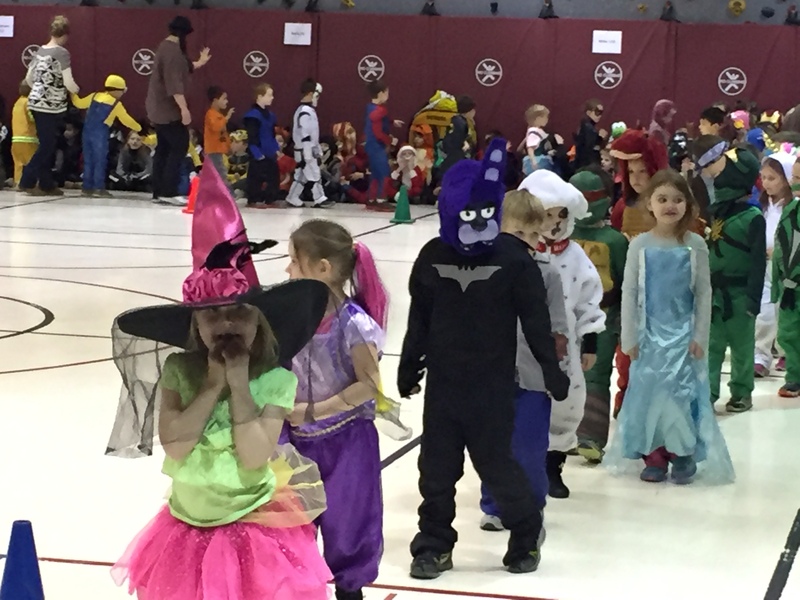 It was great to see all of the smiling faces and fun costumes!